Tá sé ráite ag Ceannaire Pháirtí an Lucht Oibre sa Bhreatain Jeremy Corbyn gur cheart do Rialtas na Breataine cur in aghaidh aon iarracht Julian Assange a eiseachadadh chun na Stát Aontaithe. Gabhadh Julian Assange i Londain inné áit a bhfuil seacht mbliana caite aige ar a theitheadh in Ambasáid Eacuadór i Knighstbridge. 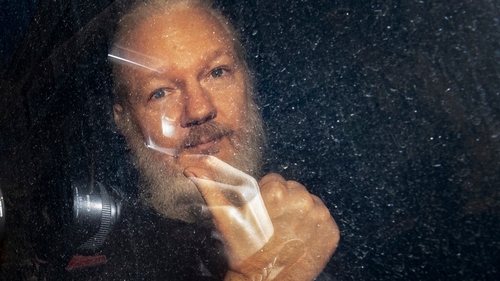 Deir Jeremy Corbyn gur amhlaidh gur cheart do na húdaráis tacú le Julian Assange as an dea-obair, a deir sé a rinne bunaitheoir Wikileaks ag nochtadh úafáis cogaíochta san Iaráic agus san Afganastáin.